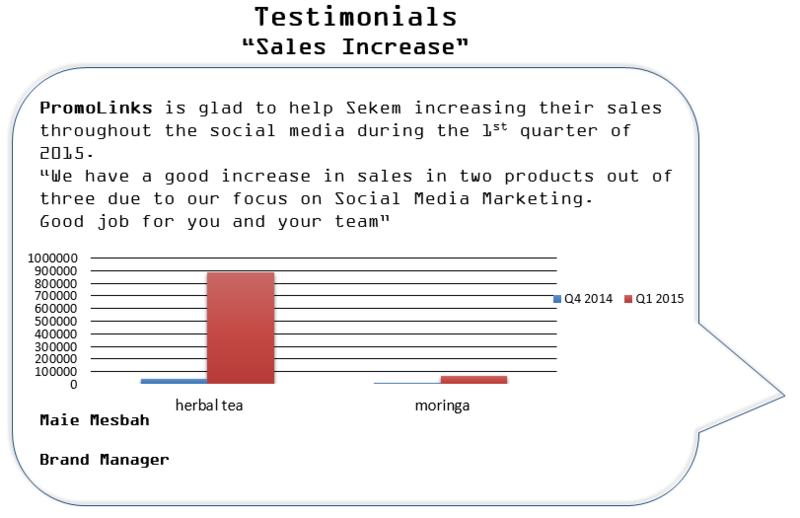 Case: Sekem was promoting 3 products Moringa, Baby Calm & herbal tea. In the 1st quarter their objectives were positioning and creating brand awareness among targeted audience, 2nd quarter was sales increase. Challenge: Starting the Facebook page from scratch and to build a very targeted fan base with tight budget within the 1st quarter. Results: Solutions: Effective media planning and integration, precise audience targeting & a very heavy and creative content that drives users to engage and know more about Sekem’s product. Solutions: Effective media planning and integration, precise audience targeting, filtering.